The Reposturing Facial treatment is designed to restore circulation and freedom of movement to the deep facial muscles; where facial stress can lead to signs of premature aging, jaw pain and dental problems. The training will enable you to help your clients get rid of facial stress, which contributes to deep lines in the cheek, neck, lips and around the eyes. It can also help with jaw pain, TMJ disorders and headaches. 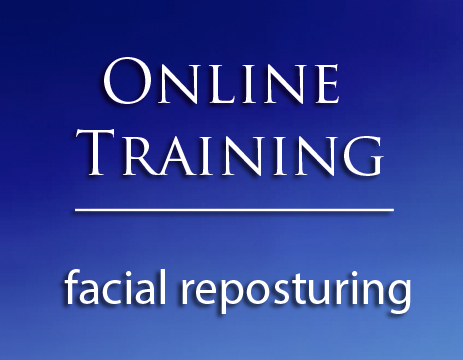 After this training you will be able to speak confidently about symptoms and solutions that you can offer to people suffering from tension-derived issues of the face, neck, chest, and shoulders. You will gain the skills necessary to be part of a solution your clients are begging for.